Miso soup is a vital, versatile part of Japanese cuisine. It can be served for breakfast, mixed with a bit of tofu and wakame seaweed. It can be part of a complete ichiju-sansai meal, served as the soup course. It can be served as part of a fancy meal, with crab legs and clams, or it can be served just by itself. No matter how it is served, it is part of the soul of Japanese food. Tofu Misoshiru is one of the most common forms of miso soup found in Japan and abroad. It is made by heating dashi stock with ingredients such as tofu and green onions, until the soup comes to a simmer. While the soup is simmering, a small amount of miso paste is dissolved in a separate bowl using a small amount of the warmed dashi. Once the dashi, tofu and green onions are cooked, the heat is turned off and the miso mixture is added into the soup, imparting protein, probiotics, umami and a lovely flavor. Dried, cut wakame seaweed is added at the end, just before serving, to round out the soup. 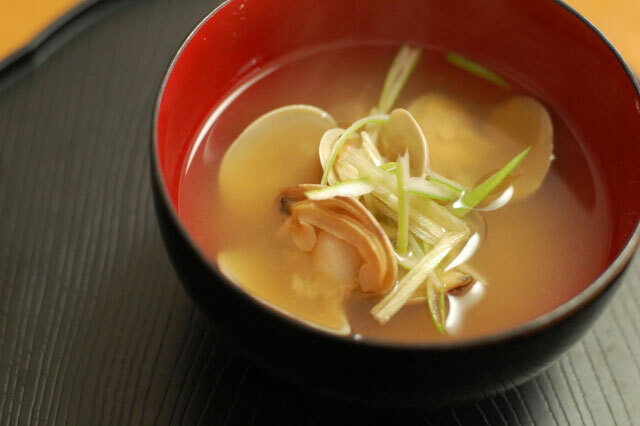 Making miso soup is deceptively simple, however, creating a truly delicious soup requires sensitive attention to the quality of ingredients and how the soup is prepared. As Rochelle Bilow, a writer for Bon Apetit, states, “With a soup that requires so few ingredients, the quality of each one really matters.” Using subpar miso paste and instant dashi detracts from the richness of a well-made miso soup. Similarly, using firm tofu in the soup detracts from the texture and mouthfeel of the soup. When adding vegetables, such as daikon or carrots or mushrooms to the soup, it’s important to slice them thinly and in small pieces and let them cook to tenderness in the soup’s liquid. Similarly, it’s important to balance the “heavy” ingredients, such as potatoes and tofu, with the “light” ingredients, such as scallions and seaweed, in the soup. Too much of one or the other affects the pleasure of eating the soup. How the miso is added to the soup mixture is one of the most important aspects of making delicious miso soup. Miso is made from fermented soybeans, and through the fermentation process, becomes full of beneficial bacteria and active cultures. Adding miso paste to the soup mixture while it is on the flame may kill these good bacteria and cultures and diminishes umami. Miso should be dissolved in a bit of broth first to remove any lumps and then added to the soup once the other ingredients have cooked. Then just before the soup returns to a simmer, turn off the heat. Following these rules is the best way to make miso soup. But as with many Japanese foods, miso soup is versatile and adaptable. 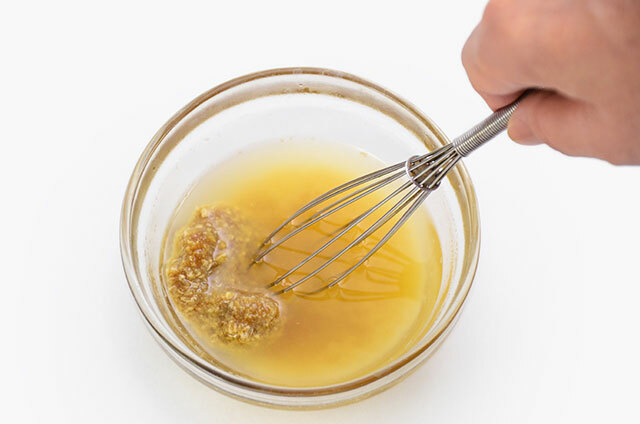 You can use different types of miso paste, from white, yellow, to red. A variety of vegetables can be added to the soup, including chard, carrots, radishes, mushrooms, sea vegetables, onions and potatoes. A variety of seafood can be added to the soup, including fish and crustaceans. Even noodles, such as udon, can be also be added to the soup. Whatever way it’s made, miso soup is a staple in Japanese cuisine. Tell us how you make it! September means back to school, college and work! Our Ms. Bento® Stainless Lunch Jar keeps you organized with a convenient way to take fresh and wholesome food with you, wherever you go. The Ms. Bento® is a complete package, containing a washable, stainless steel outer jar, two microwaveable inner bowls, chopsticks, chopsticks holder and an easy-to-carry bag. The durable outer container is made using Zojirushi’s superior vacuum insulation technology, which creates lasting insulation by removing the air between two layers of stainless steel walls. This keeps food hot or cold for hours. The two inner bowls are perfect for a variety of foods. The main bowl has a 10 oz. capacity, good for holding rice, meat, vegetables, pasta or noodles. The main bowl’s insulated lid locks into place and helps to retain the temperature of the food inside the bowl, as well as prevent heat or cold from transferring from the side bowl, which sits above the main bowl and keeps foods at room temperature. The side bowl has an 11 oz. capacity, and holds foods such as salads, vegetables, fruit and desserts. Both bowls are locked into place with the outer lid. Like all of our products, the inner bowls, outer container, lids and chopsticks are all easy to clean with soap and warm water. 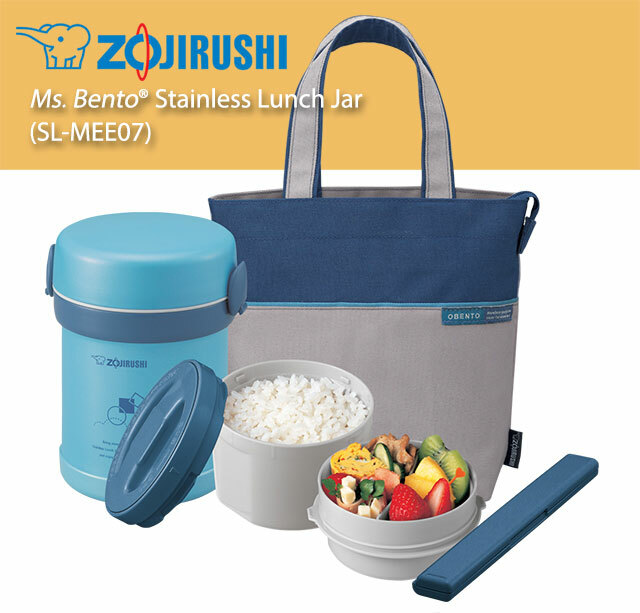 The Ms. Bento® Stainless Lunch Jar comes in Aqua Blue and fits into the matching tote bag. It’s one of our best-selling products and we know you’ll love its practical and stylish convenience. As always, we would love to hear from you, so be sure to leave a comment below. Japanese Street Food: Dango! Dango! Dango! September marks transitions in Japan–from the humid heat of summer to the more temperate months of autumn, from vacations to a return to school and work, from the growing season to harvest. Dango is a Japanese street food that transcends the change of seasons. It’s eaten all year long, with unique sweet or savory variations made for special occasions. Dango in its most basic form is made from sweet glutinous rice flour and water. The dough is shaped into round balls which are boiled until cooked. The cooked dango are cooled in cold water and then skewered, ready to be grilled or basted and garnished. Different variations of dango are popular during certain events, but Mitarashi Dango is eaten throughout the year. 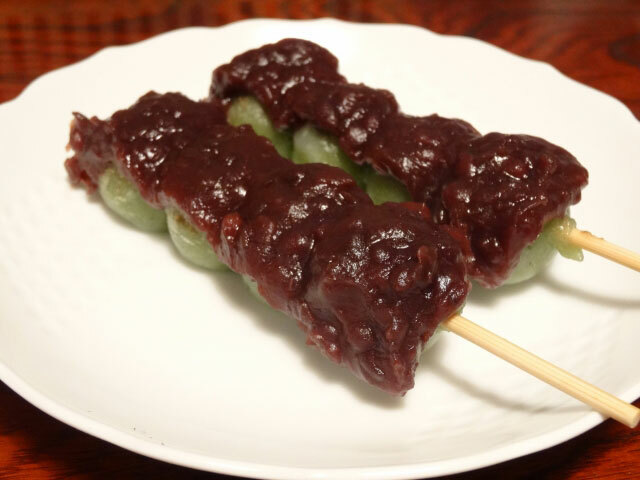 It is said that Mitarashi Dango originated from the Kamo Mitarashi Tea House in Kyoto, and traditionally consists of five white dumplings, skewered on bamboo sticks, and is served with a sticky sweet soy sauce glaze. These dango can easily be found at festivals, food fairs and night markets! Hanami dango (pictured in main photo) is another popular form of this delicious dish. 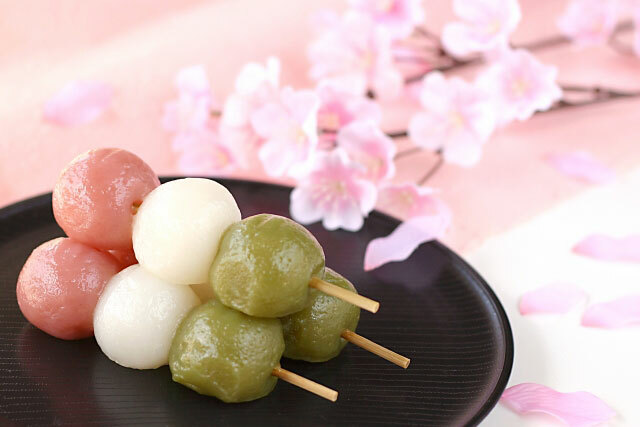 Made during the cherry blossom viewing season in the spring, hanami dango consist of three colored dumplings–one green, one pink and one white–skewered on bamboo and served as part of hanami bento. The tradition of eating these dango during the bloom of cherry blossoms dates back to the 8th century! 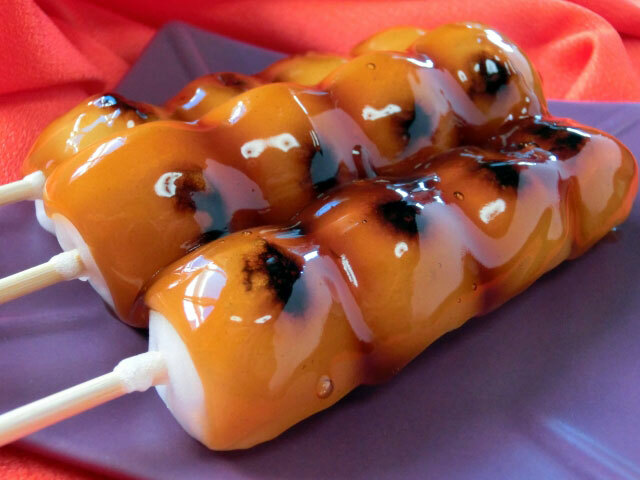 Anko dango are white dumplings topped with sweetened red bean paste and yaki dango are white dumplings grilled over an open flame and served with a savory sauce. In September, Tsukimi Dango are prepared as part of the Jugoya celebration, during which Japanese people commemorate the harvest, decorate their homes and witness the Harvest Moon. Tsukimi dango, meaning “moon viewing dumplings”, are plain white dumplings. Their glossy, white, round surfaces resemble the bright moon. Families celebrate this time by setting up a small table near a window or on a porch. Tsukimi dango, arranged in a pyramid shape on a plate, are placed on the table along with sato-imo, or taro root. Sprays of pampas grass, or susuki, are also displayed on the table, as they resemble the rice plant. Families celebrate the season, eat these wonderful treats and enjoy the full moon, which is considered to be the most beautiful of the year. With such a lovely image in mind, we hope you try making your own dango this month… and as always, we hope you share your experiences and photos with us! Rice is a staple in kitchens all over the world. Last month we discussed how to correctly store rice to preserve its nutrients, freshness and quality, as well as how to measure rice to prepare it perfectly. In our post this month, we share our secret for rinsing and washing short-grain Japanese rice. The key to washing and rinsing rice is to be quick and gentle. Before modern milling methods, rice was typically not as clean and bran-free as it is today. Improved million methods now result in rice that is cleaner, but also more sensitive to scrubbing and soaking. Rice grains can break if they are rubbed together too harshly, so it’s important to use a light touch. Rice grains that have had the bran polished off also begin absorbing water quickly, so it’s important to limit the time short-grain rice is exposed to water, especially as the water becomes dirty. There are four steps to washing and rinsing rice the Zojirushi way. 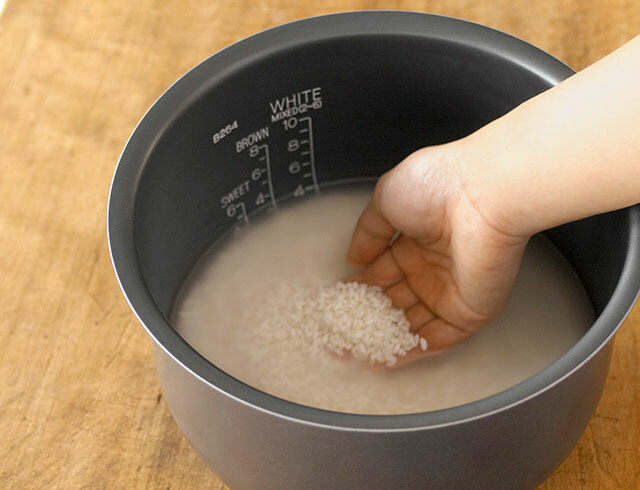 Measure and add the desired amount of rice to the inner cooking pan of your Zojirushi rice cooker using the rice measuring cup that comes with it. Fill a separate bowl with clean, cool water and pour it into the inner pan. With an open hand, stir the rice in the water 2-3 times, then drain. Repeat this initial rinse step up to three times, until the water begins to run clear. Be sure to spend no more than 10 seconds during each rinse, so the rice doesn’t absorb the starchy water. After the initial rinse, make a claw with your hand and quickly stir the drained but wet rice 30 times in a circular motion, without squeezing the rice in the palm of your hand. Pool cool water in a separate bowl while you rinse, and pour into the rice, stir gently two to three times, and drain. Repeat this step two to four times, depending on how starchy your rice is. For less than four cups of rice, wash it twice. For between four and seven cups of rice, wash it three times, and for more than eight cups of rice, wash it four times. 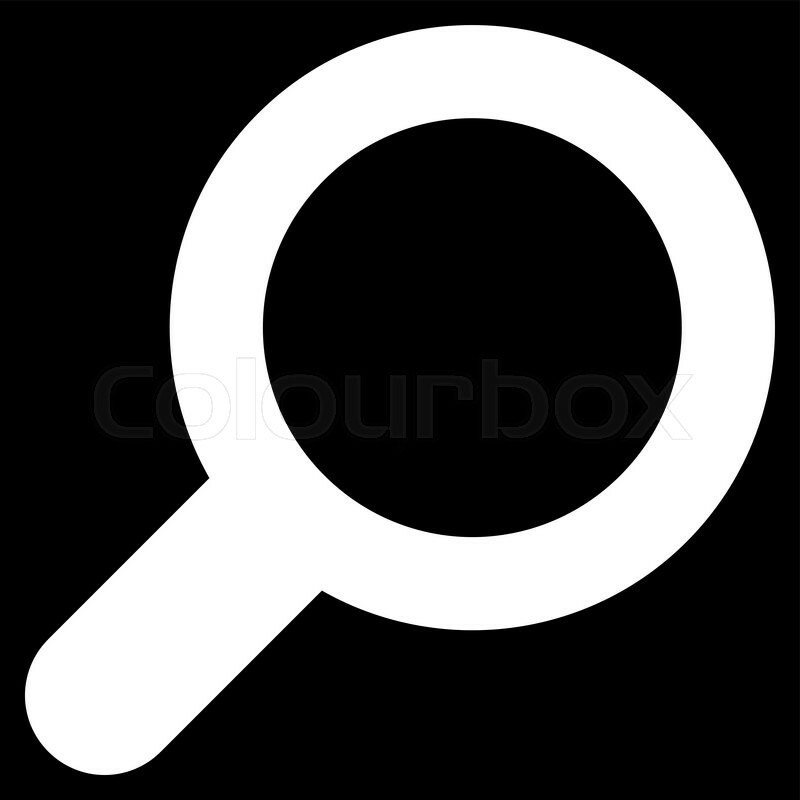 If the water remains cloudy, keep washing and rinsing until the rice grains are visible through the water. Be sure to work quickly so that each wash takes only 15 seconds or less. Washing the rice this way prevents it from breaking and cleans residue and starch from each grain. The final rinse removes any remaining starch from the rice. Pour plenty of water into the inner pan, stir with an open hand and drain the rice. Repeat this step twice to ensure that the rice is clean. Be sure to complete the four steps within 10 minutes, and the rice is ready to cook! Different types of rice need to be washed and rinsed in their own ways. Our method works best for short-grain white rice. Let us know how you prepare your rice!